Because I've been oh-so busy working every night and weekend on The Everygirl, I haven't had any time to relax and shop for fun. So this past weekend, post-launch-coma, I ventured downtown to my favorite budget-friendly resource, Zara. Two hours later, after trying on just about everything in the store and making tough decisions about what to keep and what to toss, I left very satisfied with my new purchases. Favorite buy? This blush pink frilly delight ($99.99). According to my roommate, "it's so cute it should be illegal." Uh... awesome. 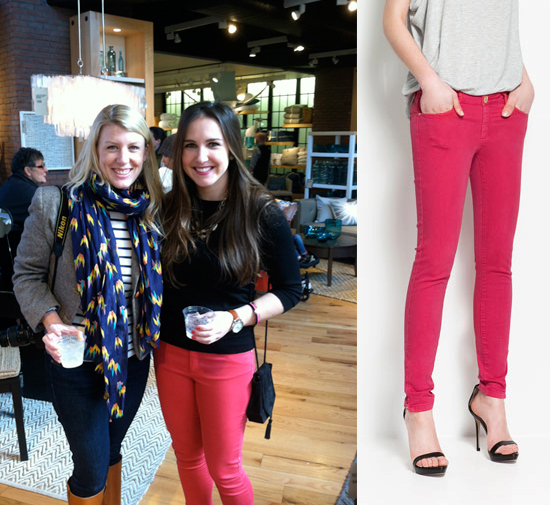 Also love my pink skinny friends w/ zip ankles ($49.99) that I wore to the West Elm/Etsy event. 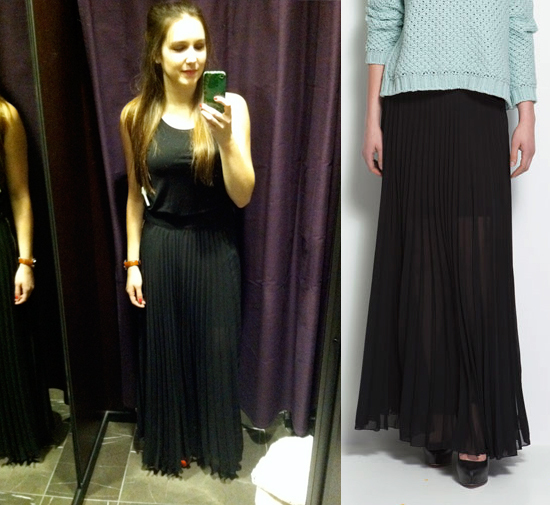 I was really torn on being adventurous and getting myself a black maxi skirt. I thought it would be very fashion-forward of me. Yes, this is me being trendy. Alas, the maxi did not make it home with me that day. Thoughts? Should I go back and get it? Is this something I'd get a lot of use out of? Could be fun for day or night... Hmm... I just wasn't convinced it was worth $90. I also snatched up a black maxi dress that I know I'll wear a ton this summer, as well as my favorite pair of $35 pants in bright teal. It was a glorious day. I love maxi skirts! 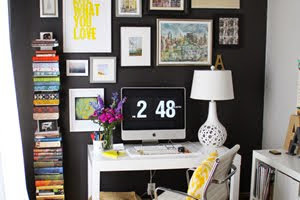 You should give it a shot, it can be dressed up or down in so many different ways! Love the pink skinnies too! I've been seeing a lot of these 1/2 sheer skirts. And....lucky for me there is a Zara's 5 miles away. 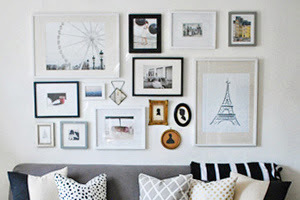 :) Fun post! I'd go buy the maxi from a place live Forever 21 or H&M. I never like to invest money is something I'm not sure I'll wear a ton. cute tho! I'd say go for it. I love ZARA! I'd get the maxi pleated skirt is a great piece...fun to dress up or down? go get it! Alaina: go back and get that skirt, looks gorgeous on you! All great purchases! I really love the pink dress! I, for one, love the maxi skirt on you, and have been wanting one myself, but I don't think I'd pay $90 for it. I'm prety sure I've seen similar styles at H&M. I want a Zara shopping spree! I'm ridiculously excited to be near one of their stores when I'm in Chi-town this summer. I hardly ever make purchases online. I bought the green jeans for $35 and I love them just like you said I would. I'm already thinking about what color to get next payday. Their spring stuff is knocking it out of the park, in my humble opinion! For the skirt, I vote no, it's cute but not worth $90 unless you think you'll wear it a ton. What great picks, and certainly a well-deserved shopping spree! Lovely finds! You definitely deserve to treat yourself! So, I agree $90 is a lot for a skirt, but it looks great on you! You look so tiny and stylish so if you don't go back and get that one, I think you should definitely invest in one at a cheaper price point. I am totally loving those pink pants! I threw on some pink skinnies today as well, but they're not as bright/awesome as those. Perhaps I'll have to venture out and find some! I agree with LR, if you don't buy that skirt, you should definitely find one at a friendlier price. I love a good maxi skirt, particularly b/c they are elegant yet breezy when it gets very hot here in TX. I don't know, I might go back and get it! love that maxi skirt! Zara is one of my favorite stores! We don't have any in Michigan, but when I am Chi-Town I always stop there. Go back for the maxi! You will get so much use out of it. I'm joining the chorus - get the maxi! It looks gorgeous! I bought a black jersey maxi skirt from Gap last summer, I LOVE LOVE it. I wear it in the winter too with boots and a slightly blous-y tank and cardi. It's a really versatile piece I think and worth the investment! That dress is breathtaking! Zara is definitely the place to shop! Too bad I don't have one close by...or maybe that's a good thing..ha! LOVE your new profile pic! Just stunning! I've been debating over getting that skirt from Zara. I almost feel like it's too cool for me, but now I totally need it. And the blush dress. Well, I die for anything blush. Head over heels for all things at Zara right now, there blouses are absolutely amazing as well! I did not know about Zara until I encountered your blog. I love its products now so much. Sadly where I live does not have Zara, but I am on its online store! Happy. I am so in love with your new dress - simple and elegant. Maxi skirt is so beautiful. You definitely deserve to treat yourself!I am totally loving those pink pants!Maxi skirt is so beautiful.